Born in 1995, Kevin is one of The Netherlands' brightest upcoming talents in the world of show jumping. He started riding at just six years old, finding success early on in 2009 in the European Championships with his pony 'Spirit', and from then on knew that show jumping, becoming World Number One and representing his country in the Olympics would be the dream. In 2013, Kevin began working with Piet Raijmakers, and the same year became Junior Dutch Champion. He won the Junior Grand Prix of Hagen, and the team Bronze Medal at the Junior Europeans in Vejer de la Frontera - all with his horse 'Ma Cherie'. Kevin continued his success through 2014 and 2015, winning several Nations Cup events for The Netherlands as well as winning the Young Rider Grand Prix in Bonheiden. The young Dutch talent has impressed within the sport, moving up a gear in 2016 by representing his country in the FEI European Championships, as well as competing on the prestigious Longines Global Champions Tour around the world, including events in Miami Beach, Mexico City, Monaco, Rome and Vienna. Kevin was placed third in the Young Rider Dutch Championships, and also took the team Silver Medal at the Young Rider Europeans. 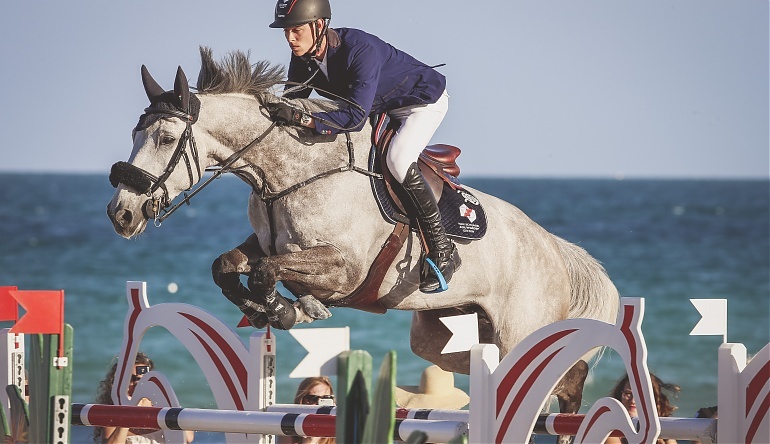 2016 also saw Kevin compete for the Global Champions League team, the Cannes Stars as their U25 rider, contributing to the team's 5th place finish in the Championship with two podiums in Mexico City and Chantilly, both with Zanzibar. “Normally equestrian sport is quite an individual sport, however with the GCL there will be more teamwork and we will try to do the best for each other." Kevin will continue working towards his goal and continues to compete on the international show jumping stage.